Education: 1980-1984 National School of Art Havana, Cuba. 1998 Skowhegan School of Painting and Sculpture Skowhegan, Maine. 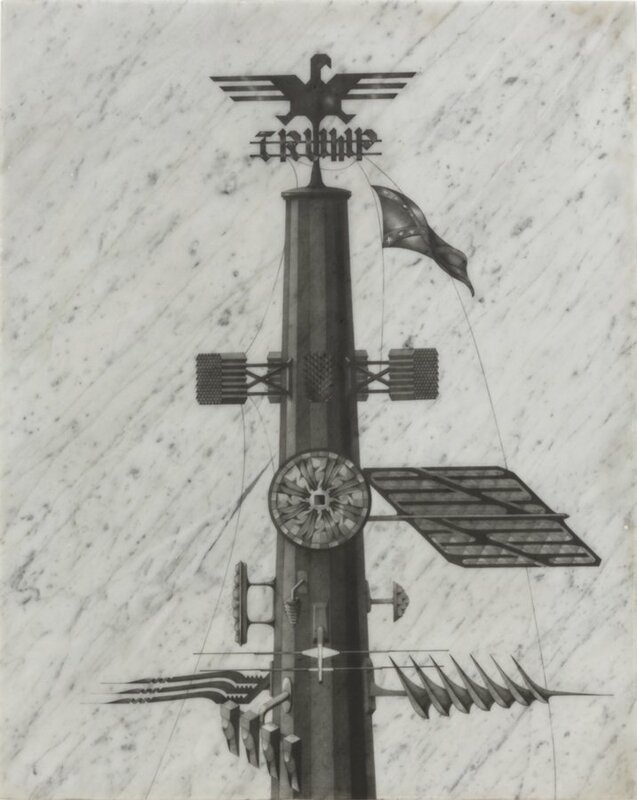 Since the late eighties Glexis Novoa has been producing work in many different media, including painting, installation, performance, and most recently graphite drawings on marble - a medium and material that would later become his focal investigation. Novoa compiles and decants information codified as symbols and canonical images representative of historical nuclei of power. By converting his work into an instrument of social and political criticism, Novoa aims to make the convergence of strategies used by different system of universally evident totalitarian power. Novoa intends to synthesize in a unique form the diverse subliminal resources of manipulation by ideological, religious, political or financial systems, which define the appearance of cities, creating a discourse of landscapes. Solo exhibitions include: Bad Ninos, David Castillo Gallery, Miami, 2017; Las cosas como son/Things as they are, Museo Nacional de Bellas Artes, Havana, Cuba, 2016; Emptiness, Lowe Art Museum, Coral Gables, 2015; Paintings on canvas, Juan Ruiz Gallery, Miami, 2014; Drones, Saltworks Gallery, Atlanta, 2011; Generic landscapes, Farside Gallery, Miami, 2010; Old-new, David Castillo Gallery, Miami, 2008; Landscape of events, Cheekwood Museum, Nashville, 2008; Worcester, Gold and Smoke, Worcester Art Museum, Worcester, 2003; and New Works Miami, Miami Art Museum, Miami, 2001. 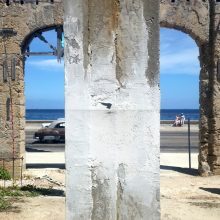 Group exhibitions include On the Horizon: Selections from the Jorge M. Perez Cuban Art Collection, Perez Art Museum Miami, Miami, 2018; Climate Change, USF Contemporary Art Museum, Tampa, 2018; Solid Abstraction: Disobedience Strategies in Contemporary Cuban Art, Miami Biennale, Miami, 2018; Visionary Aponte: Art and Black Freedom, New York University, New York, 2018; Deconstruction: A reordering of life, politics, and art, The Frost Art Museum, Miami, 2018; Adios Utopia: Dreams and Deceptions in Cuban Art Since 1950, The Museum of Fine Arts, Houston, 2017; Art x Cuba: Contemporary Perspectives since 1989, Ludwig Forum für International Kunst, Aachen, Germany, 2017; Mundos Alternos: Art and Science Fiction in the Americas, UCR Artsblock, Pacific Standard Time: LA/LA, Riverside, 2017; Gestures of Faith in Contemporary Cuban Art, Curated by Sara Reisman, Rubin Museum of Art, New York, 2016. Here you can see the McCall Center interview with Glexis Novoa. More information about Glexis Novoa's work on the Farber Collection website. Support: Glexis Novoa's residency is made possible with support from Rockefeller Brothers Fund and Cuban Arts Fund.